Huawei announced its first smartwatch at MWC at the beginning of March, and back then the Chinese company only mentioned a rough release time frame of ‘around the middle of the year’. And here we are now, almost at that point, wondering when the Huawei Watch will be out in stores. It turns out that won’t happen as soon as many would have liked. According to a report from Chinese media, Huawei has decided to delay the availability of the wearable until September or October. This apparently is because of certain “incompatibility issues with Android Wear”. It’s unclear exactly what these are, but the delay might have something to do with the fact that most Google services aren’t easily accessible in China. 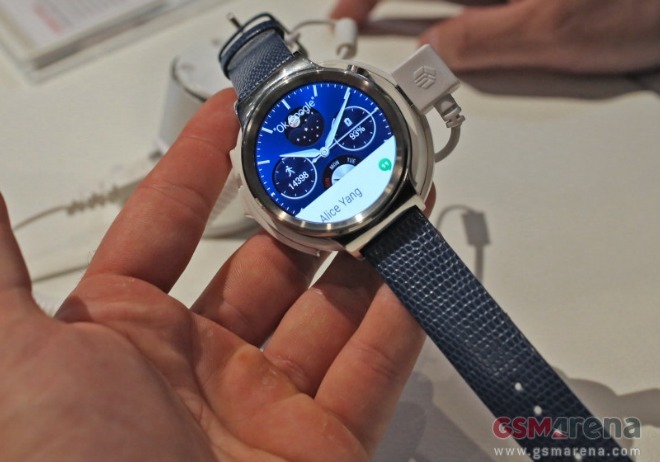 And since Android Wear is a more closed OS than the Android for mobile devices, Huawei has found it harder to replace Google’s services and apps for the wearable platform with its own – something it has to do in order for the watch to have any chance of selling in its home market. It’s important to stress that this report only focuses on the Chinese market, so maybe there’s a chance the Huawei Watch will in fact be out sooner in other territories – ones in which it can use the unmodified Android Wear from Google, in countries where the search giant’s services are able to operate. Thanks for the tip, Nicola Ligas!